(RxWiki News) A case of mad-cow disease has been located in a cow in California, but the USDA has announced that the discovery poses no risk to human health or the food supply. 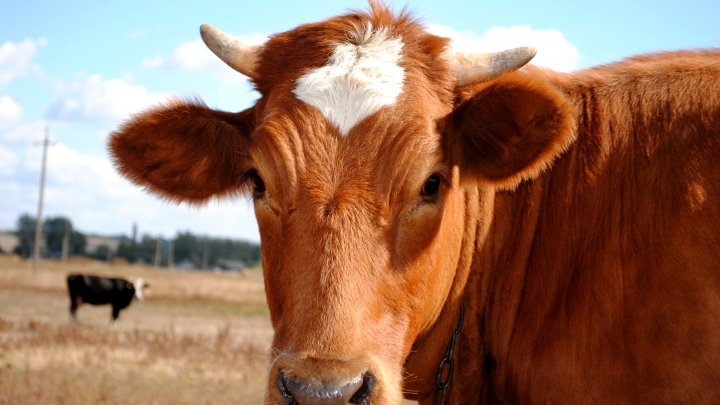 Mad-cow disease is the common term for bovine spongiform encephalopathy (BSE), a fatal disease in cows that causes the brain and spinal cord to become spongey and deteriorate. "U.S. beef and milk are still safe to consume." The cow identified with BSE is the fourth case in the U.S. and was located on a dairy farm in central California. However, an announcement by the U.S. Department of Agriculture Chief Veterinary Officer, John Clifford, stated that the cow "was never presented for slaughter for human consumption" and poses no health risks. "USDA remains confident in the health of the national herd and the safety of beef and dairy products," Clifford stated. "As the epidemiological investigation progresses, USDA will continue to communicate findings in a timely and transparent manner." Because milk does not transmit BSE, Clifford also said that there are no threats to human health in the milk supply either. Clifford's statement included information on the safeguards in place to identify BSE quickly and ensure it is contained without presenting a risk to the food supply. One of these safeguards is a ban on the parts of cows that are most likely to contain BSE if it is found in an animal, such as the digestive tract, brain, spinal cord and other nervous tissue. Another safeguard is a ban on slaughtering any cattle that are incapable of walking since one symptom of mad-cow disease is a cow's inability to stand. The Food and Drug Administration also bans the use of animal materials in cattle feed so that the disease cannot be transmitted through a herd via the feed. Tests on the cow carcass in California revealed that this case of BSE is a rare form that is not generally found in infected feed. BSE always kills cows and gets its common name of "mad-cow" disease from other symptoms of the condition, such as aggressiveness and nervousness. Other symptoms include an inability to stand or an abnormal posture, difficulty in coordination, decreased milk production and decreased body weight despite eating. A person who eats the beef of a cow who had BSE is at risk for contracting the disease, which can be fatal for human as well. However, since the mad-cow disease outbreak in the early 1990s, regulations and procedures have significantly decreased the incidence of the disease. In 2011, just 29 BSE cases were reported across the world. At the peak of cases in 1992, there were 37,311 infected cows. The decrease has been attributed to the feed bans that help control the disease's spread. "Statement by USDA Chief Veterinary Officer John Clifford Regarding a Detection of Bovine Spongiform Encephalopathy (BSE) in the United States"